His hilarious improvisational antics, paired with his ability to impersonate just about anyone, have won the laughs of many Americans on ABC’s hit comedy series “Whose Line is it Anyway?” Now, two-time-Emmy-nominated Brady brings those same talents and more to a new syndicated talk/variety show for Buena Vista Television, which will launch September 2, 2002. In addition, Wayne will make history as the first African American to ever host the Miss America Competition in September of 2002. Wayne also starred in and produced “The Wayne Brady Show,” a primetime variety show for ABC in 2001. He was also series regular on the syndicated sketch comedy show “Kwik Witz” for two seasons, and hosted the VH-1 comedy series, “Vinyl Justice,” KABC’s “Countdown to the American Music Awards,” and was seen opposite Drew Carey in ABC’s “Gepetto.” Wayne also brought the house down in an appearance at the 2nd Annual TV Guide Awards. Wayne scored a second Emmy Award nomination in 2002 for his work on “Whose Line is it Anyway” in the category of Best Individual Performance in a Variety or Musical. He has received several other accolades for his work in theater, including nominations for Best Actor in a Musical for “Cotton Patch Gospel” at the distinguished Edyth Bush Theatre. Wayne was also named Sak Theatre’s 1992 Rookie of the Year for Theatre Sports/Improv. In his spare time, it is not rare to find Wayne playing his Sony PlayStation2. Wayne and his wife Mandie currently reside in Los Angeles. He is the star of the Wayne Brady Show. Do you want to hire Wayne Brady? Directly request a quote. In 48 hours we can send you the availability of Wayne Brady If you would like to book Wayne Brady, Entertainment Booking Agency is the right place. 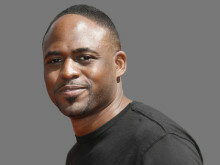 We will offer you the best price and contact the management or we directly contact Wayne Brady. For corporate appearances or speaking engagements you can contact our agents and the will help you true the process. Tags: hire Wayne Brady, Wayne Brady booking, book Wayne Brady, Wayne Brady appearances, find more information on booking Wayne Brady for appearances, Wayne Brady speaking engagements, Wayne Brady endorsements/spokesperson, Wayne Brady appearance fees, Wayne Brady booking agency contact info, biography of Wayne Brady, Contact an artist booking talent agent find a speakers bureau that can book Wayne Brady, speaker booking agency for Wayne Brady, Wayne Brady booking agency, Wayne Brady booking for corporate event. EBA is one of the biggest entertainment booking agencies in the World. We book hundreds of celebrities, artist, athletes and speakers in a year. Important to know is that we are not claiming to be the management of Wayne Brady. We are not the official agent for Wayne Brady. Companies from around the globe book these artists and speakers true our company be course we have one of the biggest networks and we always have direct contact with the artist or the management. We help you to find the right celebrities for your corporate of private events. Please contact one of our agents to get free advice and we will help to get the world-famous artist on your party.